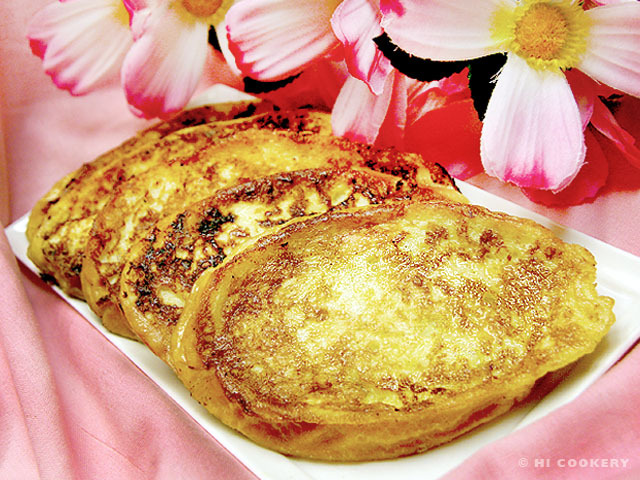 We had blogged previously about pain perdu, a French toast-style bread associated with St. Anthony of Padua. Pan de Santa Teresa is very similar and it is linked to St. Teresa of Ávila/Jesus. 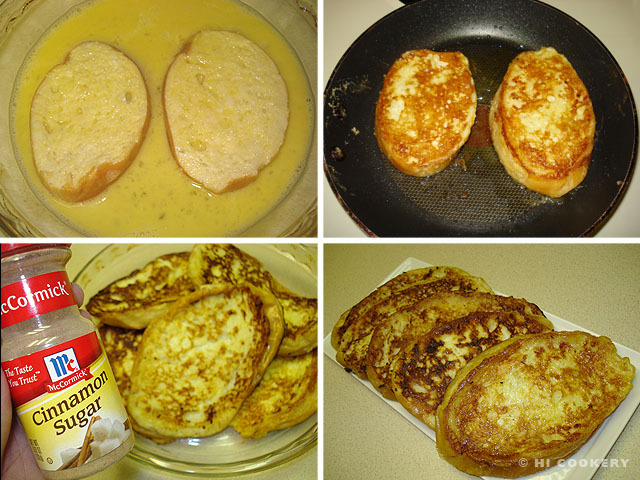 Making her bread requires two separate steps of flavoring the milk then dipping it in egg, instead of coating the slices into one mixed batter, followed by frying. The subtle yet sweet citrusy-cinnamon taste of St. Teresa’s bread is a nice change to regular French toast. Prepare Pan de Santa Teresa as a feast day food in honor of St. Teresa of Ávila/Jesus. 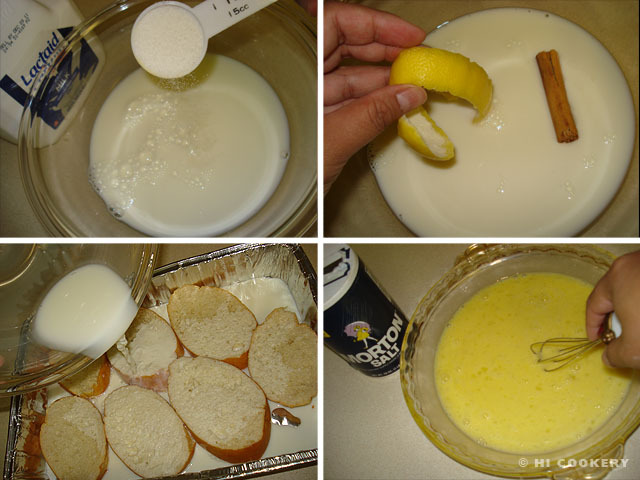 Mix the milk with the sugar, lemon peel and cinnamon stick. Heat over the stove top or in the microwave on medium heat. Simmer for about five minutes until the lemon and cinnamon flavors are well-infused. Let cool. Strain over the bread slices in a large pan, allowing them to soak up the flavored milk. Beat the eggs with the salt in a shallow dish. Coat the bread on both sides. Fry in olive oil until brown and crusty on both sides. Transfer to a serving platter. Sprinkle with cinnamon sugar. Day-old French or Italian loaves are preferred for this recipe as regular white bread slices are too soft and become mushy when soaked in the flavored milk and eggs.